Happy New Year to one and all! Look at me, starting off 2014 with a blog post. 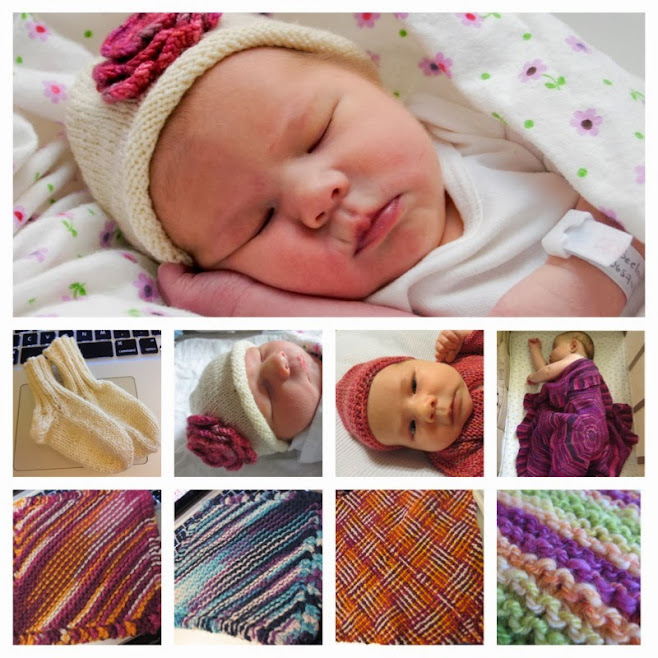 2013 was a slow year for knitting. I had a pretty rough pregnancy and then I was busy with my most important FO. Besides, now that we live in Florida, my enthusiasm for woolen things has waned somewhat. I have so much wool. *sigh* I did manage to finish, well, cast off in any case, that shawl I’d been working on for forever. It makes a pretty decent baby blanket, if I do say so myself. I’m hoping to get back into knitting/crafting this year, though, and maybe even start blogging regularly again! Wouldn’t that be something! Next Post Day 4, Caturday.